We were shocked when we read about the levels of water pollution in Guanabara Bay that sailors and rowers competed in, and saw the waters of the diving pool turn a sickly green during the 2016 Rio Olympics. And yet, here we are a year later, and we learn of the significantly polluted waters of Tokyo Bay, the intended site for triathletes and open-water swimmers. 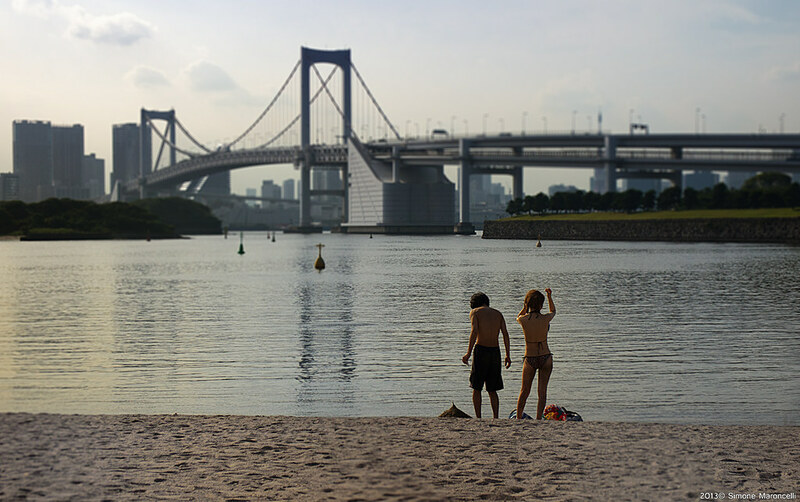 Sign at Tokyo Bay’s Odaiba Marine Park listing prohibitions, including one against swimming. Is there any consideration to move the venue for the triathlon and the open-water swimming events? The truth of the matter is, there have been signs in the area planned for the Olympic events for years warning people not to swim in the bay. Will the organizers figure out to clean up this act? We’re a little more than a thousand days away. Tick tock.